We love this garland! This couple covered the entire garland completely with flowers. Comprising of pink and peach garden roses, blush hydrangeas, and hanging tassels of crystals, this garland is one to write home about! 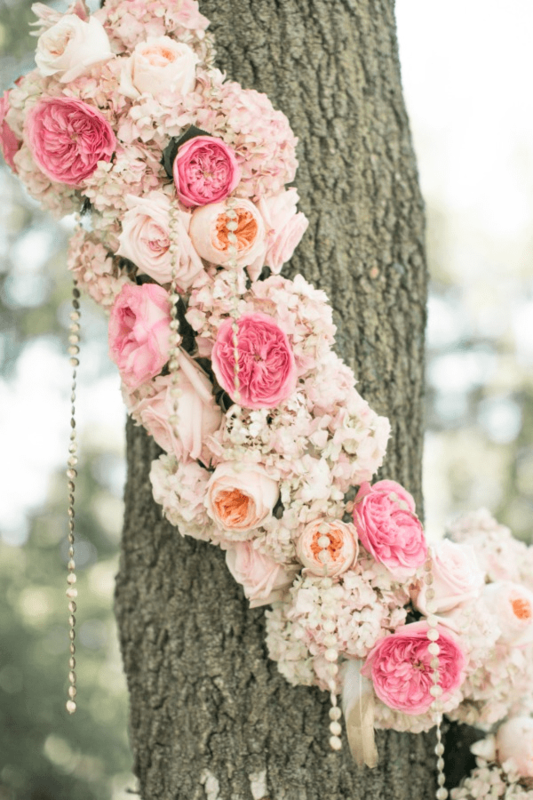 This garland is hung from a tree, creating a rustic yet elegant feel. You can easily recreate this design, but be sure to adhere water tubes to each stem to keep the blooms looking their best! Go green with an all greenery garland! 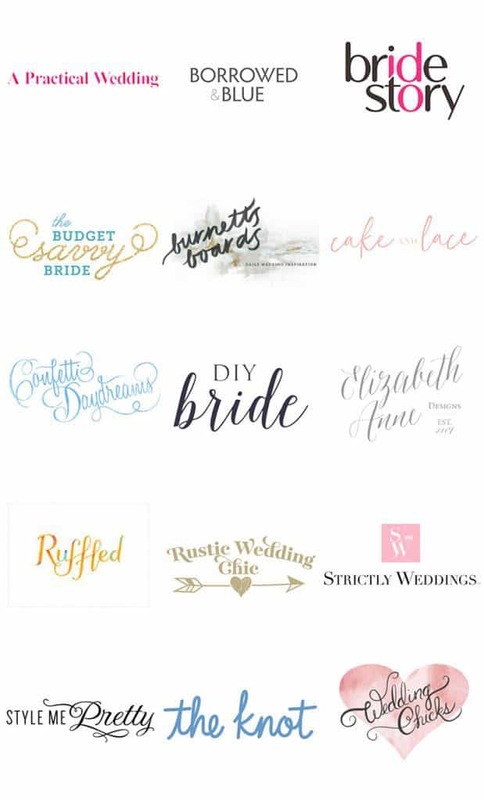 You can mix these throughout your wedding on arches, table runners, aisle decor, and so much more. 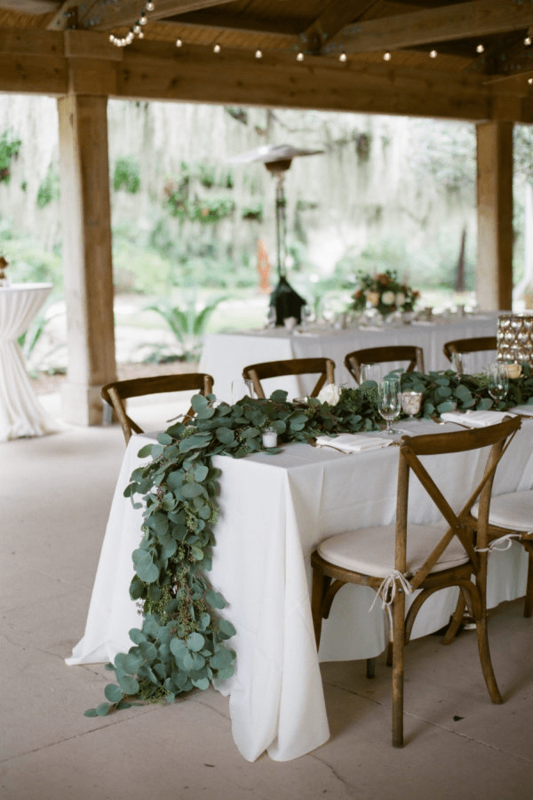 This garland with silver dollar eucalyptus amazes us and is perfect for a rustic themed event. 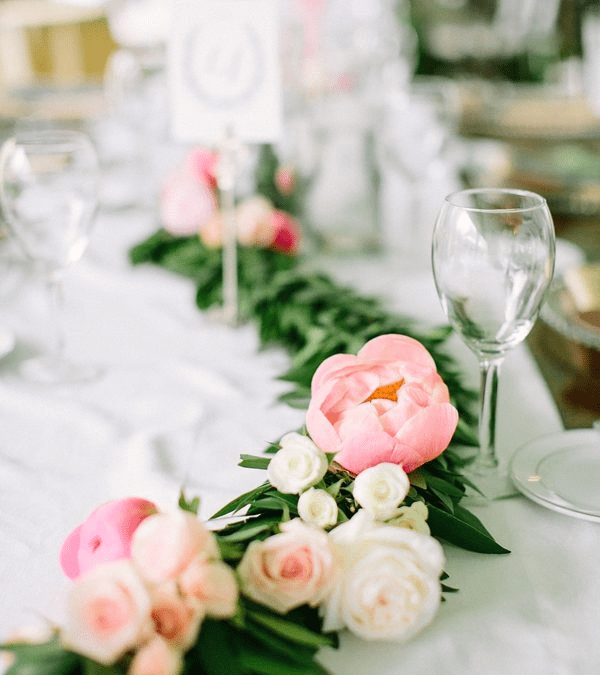 Green garlands are very in style but try to add a pop of color with one or two focal flowers to wow your guests. 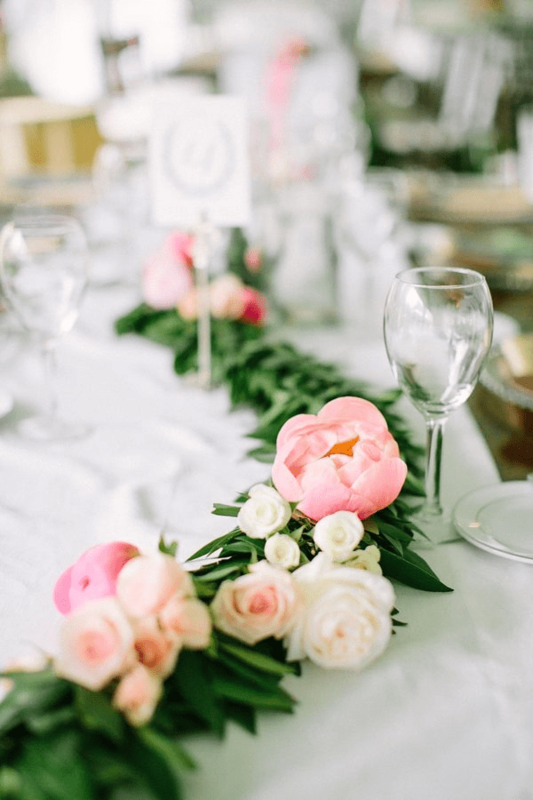 We love the brightness of the coral peonies and blush spray roses that were added to give this elegant garland a true garden look. We swoon for DIY brides that add hints of burgundy or marsala into their designs! Burgundy is romantic and can be incorporated into just about any season of the year. 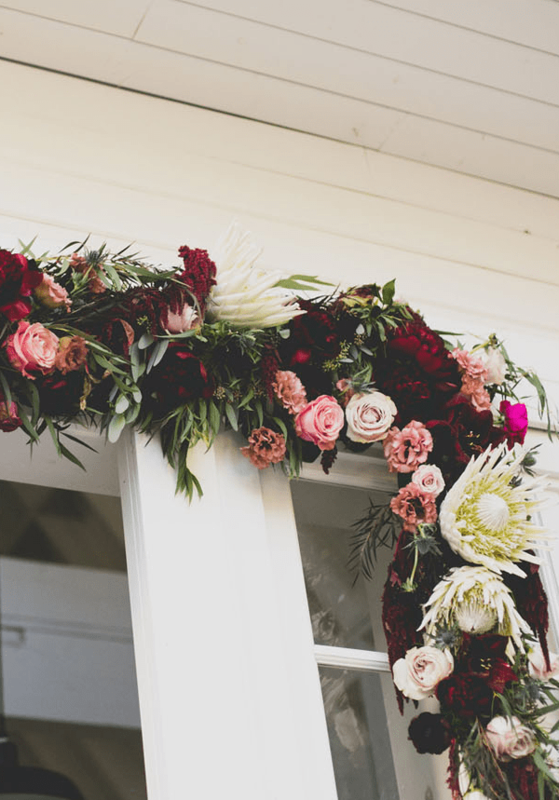 We love that the burgundy flowers add a lovely warmness to this garland. Garlands can take on different looks and with your own personal spin, you can create something spectacular! 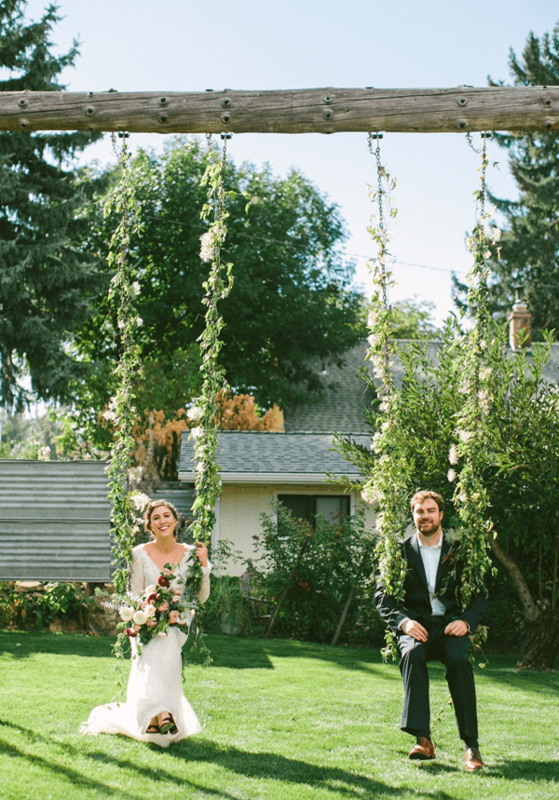 This couple draped garlands on swings which made for an amazing photo op! Have you fallen in love with these garlands as much as we have? Want to learn how to make your own? Find out here! Share your designs with us! We can’t wait to see what you come up with and create! I like the floral touch in your garland decor. Hi James! Thank you for the kind words!! !